I just have to say that the Ruf times are handicapped by the custom 20 inch Pirelli Rosso tires that are far from the best grip for a car of this caliber. 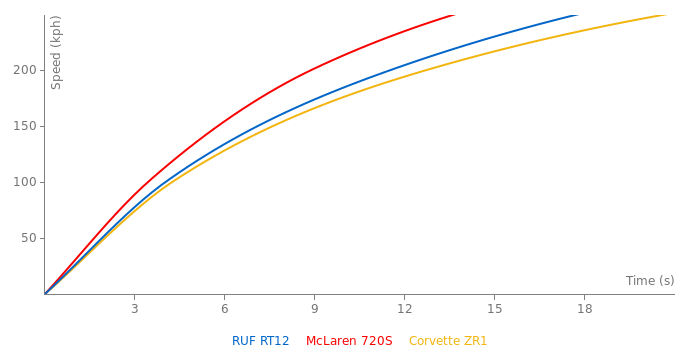 Now that the ZR1 has come out with a 335/25ZR20 PS2 I have finally been able to transform my RT12 into a time attack machine that could easily best the GT2 RS time with my AWD exit speed. 911------The best usable supercar in the world (40 years in development)-----God has spoken! i wouldnt expect it to be that quick at the very least half a second slower because of the sections where that space in between two corners isnt nearly long enough. coming out of the first corner even a gt-r will reach a higher peak speed before chicago. its apex speed would also be lower through the follow through it would need to be past the tire wall to get significantly faster. anyways who would trust jeremy clarkson with an overpowered porsche :) imagine him in a yellowbird lol. spin out, get frustrated, burn it, tnt whatever ends it. he has actually done that to a same generation carrera. I bet this could do a 1:18.2 at the Top Gear Track, speaking of that, why doesnt Top Gear test Ruf's on the Show, the old 90's TG tested them, but not this one, anyone know why? 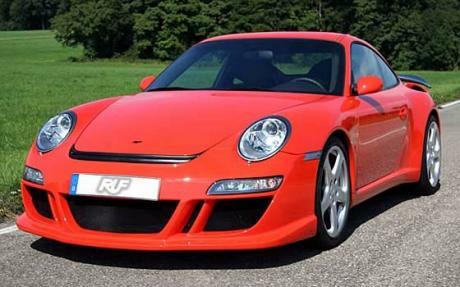 How come they dont test RUF's on top gear???? STILL wont beat the Ultima GTR 720..
how the hell can the rt12 be a gt2 when this came out before the gt2 hmm? dude seriously you need to check yo self..
Georg why do you even bother to reply to Ryo's idiotic comments? sportauto test the RUF RT12 in the 2/2008 edition... at sportauto online they claimed the car finished in the top5 of all time sportauto supertest... reaching with 308km/h the second highest topspeed during a supertest at the Nürburgring northloop lap. Ruf is a independent car producer by US and German law.. they recive chassies from Porsche without any numbers and use own manufatcor numbers.. the RT12 use 60% parts from Porsche the rest is completley Ruf build..but from that 60% over 90% get a rework... amazing fact.. Ruf offered a Turbo version of the 997 befor Porsche did..
RUF CTR3 at least looks like it's no Porsche (apart from front and rear light clusters). The Body is 100% RUF design but the engine is twin KKK turbocharged Porsche 3.8.